A view across the northern end of the Sound of Islay from the Isle of Jura. Jura in the foreground, I’m not sure if the small light has a name. 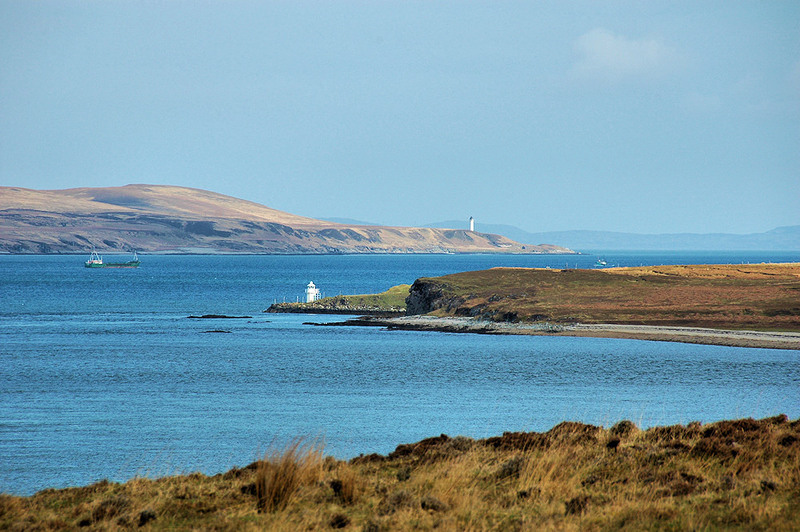 On the other side of the sound is the northern tip of Islay with Rhuvaal lighthouse. In the distance Colonsay can be seen. Two ships in the sound, a coaster going north, a fishing boat travelling south. This entry was posted in Jura Excursion, Landscape, Lighthouses, Repost, Sunny Weather and tagged Carragh an t-Sruith, Colonsay, Islay, Jura, Rhuvaal, Sound of Islay by Armin Grewe. Bookmark the permalink.